GPE Industries Ltd. is an I.S. EN IS0 9001 registered company. GPE has completed contracts in the value range between a few hundred to several million euro. 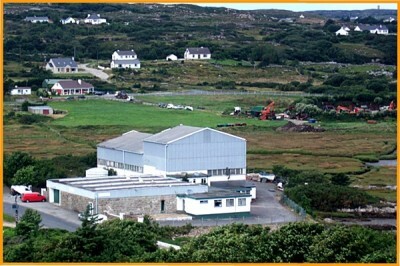 Included among its many contracts in Ireland are the supply of multi-kilometres of extract ducting and process piping; shop supply of complete 4m diameter tanks; site assembly of 5m diameter tanks; complete in situ fabrication of up to 3m diameter tanks in restricted access process areas; rectangular and circular sumps, scrubbers and columns. Export contracts to end users in Austria, Britain, Germany and Poland include process pressure piping; a 30 tonne multi stage ionised wet scrubber and a 8 tonne three stage odour abatement cross flow scrubber. Is comhlacht Gaeltachta é Tionscail GPE Teoranta, Ionnaithe in Anagaire i nGaeltacht Dhún na nGall, le formhór na bhfostaithe ón cheantar mór-thimpeall.